Thank you for choosing our practice for your child. We will work with you, the schools, and the rest of the community to help your child realize and fulfill his/her full emotional, developmental and physical potential; we will be sensitive to his/her cultural background. The focus of our visits will be your child and we will encourage you to ask as many questions as you can think of about his/her health and development; we will try to answer those questions as truthfully as possible, based on the latest scientific data and research. 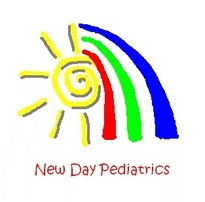 New Day Pediatrics' general approach to illnesses or issues is to follow your child’s condition closely. We try to keep procedures and medications to a minimum, but will be ready to act quickly when appropriate. We will remain available to follow your child with you as he/she recovers from his/her illnesses. We aim to be your ally in this wondrous and at times difficult journey of parenthood. It is a privilege to be a parent, and we feel just as privileged to have been chosen as your child's pediatrician. ONE OF THE BEST - HANDS DOWN!! "When I was a child, I had a doctor that always made me feel welcome, and always made me feel secure. Now, as a first time mom myself, I am so pleased to know my son feels the same comfort with Dr. Niazi and her assistant, Nancy. My son's appointments are never rushed. I am never treated as though I'm overreacting, and most importantly, the quality of care and Dr. Niazi attention to detail are immeasurable. Dr. Niazi is hands down, one of the best in the business, and I trust no other pediatrician with my son's care, other than her." 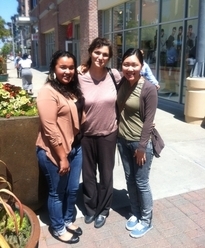 "Dr. Naizi and her trusty assistant Nancy are the best care you can find in the East Bay. They are patient, sweet and invested in quality care. I never have felt rushed, misinterpreted or dismissed. 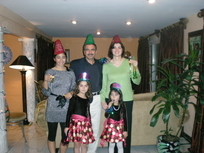 I recommend Dr. Niazi to all my friends and family." BEST PEDIATRICIAN HANDS DOWN, PERIOD. 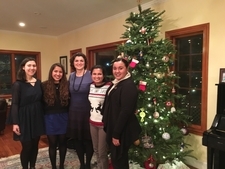 "I have known Dr. Niazi since I was a younger child and she by far the most caring doctor I have ever had the pleasure of being under her care when I was a child, She goes out of her way to provide children with excellent health care service and is also VERY knowledgeable and educated in a multitude of aspects with children and their general health and well being, especially ones with chronic illnesses, and highly experienced in respiratory care and management of children with mild to severe asthma and other respiratory illness as well. She is not only very helpful, she spends time with her patients , and explains everything in understandable detail so the parent is more compliant with the level of care that their child is receiving, and is rest assured the child is in good hands, she really goes out of her way for all her patients and is also very compassionate and understands patients financial situations and offers immediate and top notch care regardless of insurance and also offers top notch care for Medi-cal patients and ones with no insurance as well and is also very working around this, her staff is also outrageously nice, caring and generous just like her, and gets things done in a very timely manner, Best Doctor Period. Dr. Niazi also speaks fluent Farsi (Dari) English and her staff speaks fluent English, Spanish and Farsi, My Sisters younger children are under her care and she has recently moved out of state and lives in Illinios now, and she always gets in touch with Dr. Niazi before taking her children anywhere regarding any concerns and generally anything regarding her children's health. I highly recommend her."